GOV.UK is 2 years and 1 billion visits old today. So we’re celebrating. But it's worth remembering that we couldn't have got this far without a great deal of support from others. Those are just three examples - we learn more every day. GOV.UK is a platform that everyone in government can use and build upon. It’s designed to meet user needs. It’s simpler, clearer and faster. It has changed how government works internally, and inspired other governments to follow a similar path. Which is fine by us. The team at GDS has worked extremely hard over the last 2 years. Well done, all of you, and thank you. There's a wider team beyond GDS, a team that stretches across traditional departmental boundaries. GOV.UK would not be what it is today without the enthusiasm and support of many, many people in Whitehall and elsewhere. If I wrote a list it would be hundreds of names long, but I'm going to pick out just a few: Francis Maude, Minister for the Cabinet Office, who backed us at every step. Antonia Romeo at Ministry of Justice, Brian Etheridge at the Department for Transport, and Adam Bye at Foreign Office, all of them early supporters whose efforts laid the foundation for moving all 24 departmental websites, plus Number 10 and the Office of the Deputy Prime Minister, on to GOV.UK. And Melanie Dawes, another unsung hero who made sure we had access to Business Link when we needed it. And of course there's Martha Lane Fox. Not just because she wrote the report that started it all, but because she's been a constant source of encouragement and inspiration to the whole team. Thanks for that, Martha. Most important of all are the users. None of this would have happened without them. Their input and feedback is the most important part of the puzzle. After the inevitable celebratory cake in our office (there will be cake, I'm pretty sure of that), it'll be back to work, because there's still loads to do. There are a few more agency and arms-length body websites to transition over to GOV.UK. There are exemplar services we haven't finished with yet, platforms like GOV.UK Verify that have only just started to operate in public, and dozens of other projects we've yet to start. We’ve come a long way, but we’ve barely begun. We’re still going in the same direction: onwards! time flies! I was left with the idea that DIRECTGOV was to change but now we see many things happening. Would love to invite you Mike to give a seminar at our University (Royal Holloway, University of London) and tell us more about the new ways of working (agile I take it) and their impact so far. Many happy returns! The work you've done has influenced and educated so much on the importance of focusing on user needs, thanks. 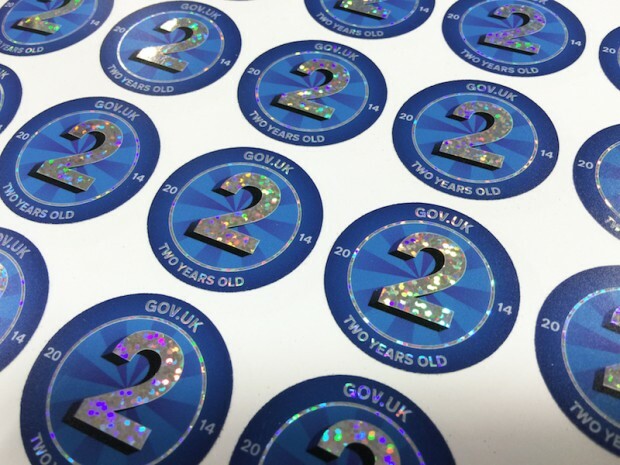 Happy birthday GOV.UK, enjoy the celebrations! To the entire GDS team, best wishes from everyone at GOVT.NZ - we love what you do, and we're looking forward to seeing what you all come up with next. Congratulations Mike and team! The hard work has paid off, GOV.UK gets better and better all the time. Fascinating to think what it'll be like 2 years from now.